This newsletter is published near simultaneously on paper (in grey) and on the web (in colour). The 36th symposium of the International Society for Clinical Electrophysiology of Vision took place in Hradec Králové from June 13th to 17th, 1998, at the Medical Faculty which is part of the Charles University in Praha. This, the oldest university in central Europe, was founded in 1348, at a time where Europe was still united under the rule of the Holy Roman Empire. It was very exciting to have the 36th symposium of our society in the Czech Republic at a time, now, when Europe after a long-time and, in many ways, tragic recent century is going to become unified again. We anticipate a Europe of nations that cooperate in removing the obstacles to communication, the obstacles to mobility of persons and trade and the obstacles to free scientific exchange. The role of the Czech Republic as a bridge between East and West was very visible in this symposium, as well as in the preceding ISCEV course, with many attendees from eastern and western countries, altogether more than 200 participants. The ISCEV course has turned out to be a very useful event for helping to establish standardised electrophysiology of vision in many laboratories. We would like to thank the faculty and the organisers for the most instructive and well running curriculum. Over the years our society has become a large family with more than 400 members. Again this year’s symposium united friends from all continents with similar scientific interests, common clinical problems and common memories. It was a particular pleasure to welcome our honorary members Prof Harold Henkes and Prof Sven-Erik Nilsson, both past presidents of the society. We also were very pleased that Prof Peregrin and Prof Sverak, Czech members from the very beginning of the society, could attend. Both were at the “Zero”-meeting that preceded the founding of our society (then called ‘ISCERG’, International Society for Clinical Electroretinography). The basis of our society was laid at this meeting in Luhakovice (north of Brno in Czechoslovakia) in 1959. Both Prof Peregrin and Prof Sverak served as importants link between East and West, when research in clinical electrophysiology was very much affected by the Iron Curtain. Prof Peregrin and Prof Sverak strongly cooperated with our board members, especially Prof Dodt, who worked tirelessly to maintain links with the East. Prof Dodt’s widow, Mrs. Elke Dodt, also attended the meeting and presented the Eberhard Dodt-Award to Dr Macaluso from Parma, Italy at a most magnificent ceremony in Praha. Dr Macaluso was chosen, after a careful selection procedure, from among twenty candidates as having presented the scientifically most outstanding presentation of this year’s meeting. The awardees of the Eberhard Dodt-Award from 1996 and 1997, Dr Kraemer and Dr Cidecyan, were also present at the meeting. ISCEV travel grants were given this year to Olga Dembinska from Canada, Joanne Greatrex from UK, Ulf Kretschmann and Katja Würzinger from Germany. The meeting was accompanied by an exhibition with the most advanced instruments in electrophysiology of vision in a well-equipped lecture hall. Many young colleagues are joining our society and the ISCEV meetings of subchapters, for instance the western hemisphere at ARVO, the meetings in China and Japan as well as in Europe have to quickly spread the information about new applications and new technologies. All these activities originate in part from the continuous efforts of the ISCEV board members. I would like to thank them very much for their extremely valuable services throughout the year, with the biggest work load on the shoulders of the Secretary General, Prof Barber, the Treasurer, Prof Miyake, and the Editor, Dr Odom, as well as the liaison officer for JERMOV (now called “EVER”), Dr Galloway. At this year’s election a new Vice-president for Asia/Australia was elected: Professor Yozo Miyake of Nagoya University in Japan, will take office on 1 January 1998. Great thanks are due to the current Vice-president of the American chapter of ISCEV, Prof Marmor, who has helped very much in introducing new aspects, either by helping with the standardization or by organizing the clinical case sessions at the meeting. He deserves ISCEV’s sincerest thanks. Again the ERG standard is up for revision this year. A group of interested colleagues met at Hradec-Králové to discuss the updates. If you have particular comments on the update please contact Prof Marmor. The great success of this year’s symposium was certainly due to the dedication and thoughtfulness of our organisers Dr Zuzana and Dr Miroslav Kuba who for two years dedicated their efforts to the development of a most stimulating scientific and social program. We would like to forward our deepest thanks for their enormous personal effort and achievements to them, together with their team: Dr Kremlacek, Dr Vit and Mrs. Malchowa. They made thousands of beautiful memories for all of us. Innovation has been introduced during the Czech meeting especially in utilizing the new possibilities of the World Wide Web. The meeting was announced (as will be the following meetings) very early on the website and updated until the last moment (including the weather forecast available at the day of departure of the participants!). Most remarkable was the continuous care during the meetings by the co-workers and the outstanding social events, converting a most beautiful park into a ISCEV-village with shops, restaurants, music-halls and a most exciting dancing competition, won this year by the Drs. Gottvall for Sweden. The organisers presented a lot of Czech culture with every lunch in the Albertinum and a most remarkable welcome evening at the museum with numerous exhibitions and a dedicated orchestra of young professionals, who presented most impressively from the rich Czech music culture. A concerto for two pianos in the Holy Spirit Church was one of the highlights of this meeting’s social activities with two outstanding artists presenting. It was very clear that the Kuba family, including fifteen year old Veronica, thirteen year old Martin and one-and-a-half year old Caroline all contributed to keep the spirits of the participants high and to provide happiness and joy to the Symposium’s attendees. The Grande Finale of this meeting was the ceremony at the assembly hall of the Charles University in Praha, where four of us (Prof Dodt (posthumously), Prof Blakemore, Prof Spekreijse and the ISCEV-President) were awarded the Charles-University memorial medal This was followed by the Award Ceremony for the Eberhard Dodt Award. The whole meeting showed that ISCEV has a bright future, that it stays attuned to most modern developments and that it has an important role in developing and refining clinical electrophysiology for improved diagnostic and therapeutic techniques in the visual system. We look forward to continuing close cooperation among all members and invite everyone to come together on April 14th-16th 1999 at the 37th meeting in Eilat, Israel. Gradually --so gradually that I only just noticed it-- all of the factual things that I used to report in this column have found locations of their own in the Newsletter. They don't need my repetition. It's a good and healthy sign of an evolving Newsletter in an active and growing society. What's more, it gives me the opportunity to project my thoughts onto a higher plane and use this space to soliloquise on a topic of importance to our society. The choosing of our president is such a topic, and an apposite one for now: you will find elsewhere in the Newsletter an invitation to nominate a candidate for this position. It must fall vacant at the end of 1999 when Eberhart Zrenner completes his second term of office. We have been fortunate with the quality of leadership offered by the presidents we have had, from the Founding President, Harold Henkes, through Sven-Erik Nilsson to the present incumbent, Eberhart Zrenner. Although they would be quick to give credit to many others for the progress of our society, still someone has to steer the ship. Even if others are making sure the engines are running at full speed (especially if others are making sure the engines are running at full speed!) someone has to discern the right course and keep to it. We have done well in following the course of developing our topic and in achieving a presence, world-wide, that is out of proportion to our size. It is a niche topic to be sure, and though it may sound superficially to be an overly modest achievement, we have done well to stay in our niche. We occupy the interface --the exciting interface-- between basic science and clinical application. Not for us the esoteric satisfaction of “real” basic science (knowing more and more about less and less? ), or the humanistic satisfaction of “real” clinical application (knowing less and less about more and more? ), but the honest aim of searching for both understanding and application in our area. Thus we may know, within reasonable measure, both satisfactions. My own view, just for an example, is that we need an evangelist. I do not mean to imply that this attribute has not been present hitherto. It has. But it is, I believe, of primary importance at this point in time. We have seen exciting advances in electrophysiological techniques in the past few years (we have contributed to them). We have seen real advances in education in our topic (we have led them). We need now to see an increase in application of these advances. We need someone to sell them to ordinary, everyday ophthalmic practice. Maybe you share my views, maybe you don't. Either way, please do use this election to press forward the things you believe to be important. There is a dual-stream procedure. Any regular or honorary member can nominate a member to stand. Elsewhere in this Newsletter, it is written how to do it. At the same time, “three wise men” (the three Vice-presidents as of 1999) are drawing up a slate of candidates to put to the next Board meeting. You have an input to this process too. If you have views you wish to put forward, speak to the Vice-president for your area (in confidence if you prefer). So there are two ways in which all of us can influence who stand for election. There is also a third way, since “last-minute” candidates can be proposed from the floor during the Membership meeting. But I do not advise using this one. The office of President carries heavy responsibilities, it consumes much time, it demands considerable resources. The decision of whether to stand is not one that we should expect anyone to make on the spur of the moment. At the Membership meeting the slate of candidates will be reduced to two by voting as laid down in the bye-laws (qv). The final decision will be made by all members, through the medium of a mail ballot. President. The position is currently held by Eberhart Zrenner. He has served two terms and is not eligible for re-election. Secretary for Europe & Africa. The position is currently held by Colin Barber. He has served two terms and is not eligible for re-election. Treasurer. The position is currently held by Emiko Adachi. Position is held on an interim basis and must be filled by election. Any Regular or Honorary member may nominate, or be nominated for, any of these positions. The Secretary for Europe and Africa should reside in Europe or Africa. In order to nominate someone, you should write to the President with the name of the proposed candidate. The letter must include the signed consent of the individual concerned to stand for office and to fulfil the duties of office if elected. The letter of proposal must reach the President by 11 March 1999. The Western Hemisphere Division of ISCEV meeting, also known as ISCEV@ARVO, was held May 9, 1998, at “Martha’s on the Intracoastal”, Hollywood, Florida. Sara Putney was the Administrative Associate in charge of organizing the conference and Drs. Richard Weleber and Michael Marmor chaired the sessions. Mr. Ken Hansen of Hansen Ophthalmic Development Laboratory helped to fund the conference and scientific sessions. Sixty-one participants from around the world attended. The first session of the afternoon was devoted to "Multifocal ERG and ERG Components and Techniques." The second session focused on "Electrophysiology in Clinical Disease and Other Related Topics." Nineteen presentations were given during the two afternoon sessions. The dinner which followed was attended by members and guests. The 1999 ARVO@ISCEV meeting will be held Saturday afternoon, 1:00-6:00, May 8, in the Waterway Room at “Martha's on the Intracoastal”, 6024 N. Ocean Drive (Highway A1A), Hollywood, Florida. Following the scientific sessions, a four-course dinner is planned for the participants and their guests at Martha's. You can register for the scientific sessions and dinner, or either separately. Please contact the Administrative Associate, Sara Putney at (319/356-4471) or by email (sara-putney@uiowa.edu) for registration and further details. Japan. The 46 annual meeting of Japanese Society for Clinical Electrophysiology of Vision was held at Beppu city from Nov.13 to 15th, 1998 by Prof Kazuo Nakatsuka in Ohita Medical School. Participants were 187 in the meeting and instruction course. Two special lectures (by Prof Dr Samuel G. Jacobson, University of Pennsylvania and by Prof Dr Keisuke Toyama, Kyoto Prefecture Medical School), 5 educational lectures and 50 free papers were given. The next meeting will be held in Niigata city from July 2nd to 3rd 1999 by Prof Dr Haruki Abe, School of Medicine, Niigata University. This year, as predicted, the new society European Eye and Vision Research (EVER) was formed, and existing ISCEV members were offered free membership for the first year. The first meeting of the new society was held in Palma de Majorca during October 7-10. It included an invited session on “Electrical Responses in the Visual Pathway to Pattern Stimulation”, organised by the Vice-president for Europe and Africa, NR Galloway. Speakers were GE Holder (UK), W Spileers (Belgium), C Macaluso (Italy), C Barber (UK) and D Keating (UK). The conference also attracted sufficient proffered papers on electrophysiology to generate another session, and was generally judged to be a clear success. ISCEV Board member H Spekreijse was elected Coordinator of the Visual Sciences Section of EVER, and President-elect of the society. The next meeting will be held in Palma at a similar time of year in 1999. Later in October, the McKenzie Symposium, which is held each year in Glasgow to celebrate the eminent Scottish Ophthalmologist, had electrophysiology as its theme. The keynote speaker was ISCEV president, E Zrenner and the other speakers were ISCEV members D Keating, GE Holder, GFA Harding and C Barber. During the summer, the European Congress of Clinical Neurophysiology, which was held in Ljubljana, included both a scientific session and a teaching workshop on clinical electrophysiology of vision. These were organised by ISCEV member J Brecelj and the speakers included C Barber, GE Holder and A Kriss. Immediately after our own symposium in Hradec Králové, ISCEV organised a session on electrophysiology at the International Congress of Ophthalmology in Amsterdam. Presentations were given by M Marmor, E Zrenner, Y Miyake, M Korth, A Fulton, C Barber and E Adachi. Specific exploration of the visual pathways was presented by five speakers. Prof W. Spileers (Louvain, Belgium) presented the improvements made for specific clinical exploration of the M-pathways by motion VEPs. Dr I. Ingster-Moati (Paris, France) presented different means to explore the motor-sensory visual pathways in patients suffering from Parkingson disease after Dr N. Fabre (Toulouse, France) had recalled its different clinical signs. Dr M. Crochet (Creil, France) presented her practical clinical attitude when patients are suspected of hypophysis pathology after an automatic visual field has been recorded. Dr S. Rosolen presented the different constraints of the visual exploration in non human primates and the specificity of the electrophysiological tests. At last, a hot point was highlighted by Dr R. Verdet (Avignon, France): the potential interaction of Sildenafil (Viagra ®) and vision. It was a busy year for European ISCEV members, and their efforts will surely pay dividends in wider appreciation of the utility of clinical electrophysiology of vision. Looking to the future, ISCEV has been invited to organise a teaching workshop at the European Congress of Ophthalmology (SOE) in Stockholm in June/July 1999. 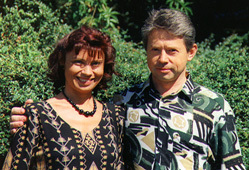 The meeting is opened at 17 June 1998 16.00 by the President, Professor Zrenner. 69 members are present. The minutes of the 1997 Membership Meeting are accepted as a true record and signed as such by the President. There are no matters arising. The Secretary-General (Professor Barber) presents his report for 1997, which has been published in the Newsletter. There are no matters arising from it. The Secretary-General presents the report on behalf of the Treasurer (Professor Miyake) and invites questions. He reports that the total assets figure is artificially high since the publisher has not yet submitted an acceptable invoice for the years in question. The report of the Treasurer is accepted and the President thanks him for all his work. The new Editor (Dr Odom) gives his report, with some information also from the previous Editor (Dr Fishman) He appealed to members to submit their papers to him. Marmor (Editor-in-chief of Documenta Ophthalmologica) strongly supports him and adds that review articles, technical reports and case reports can also be submitted. Odom informs the membership that the contract with Kluwer is due for renewal next year and that this would be a good time to effect any desired changes. There has already been an approach from Vision Research and an article will appear in the next Newsletter, outlining the pros and cons of the two approaches. Odom urges members to write to him, both in response to this article, and also to inform him of teir views in general. Vaegan suggests a third option of an on-line journal. Odom asks that he write to him about this option and it will be considered along with the others. Vice-president, Asia/Australia. The position was vacated by Professor Adachi, who was not eligible for re-election, having served two terms. Professor Miyake was elected nem con. Vice-president, Americas. 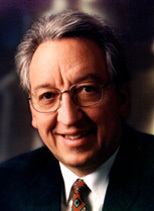 The position was vacated by Professor Marmor, who was not eligible for re-election, having served two terms. Professor Dawson was elected nem con. Secretary, Asia/Australia. The position was vacated by Professor Oguchi, who was eligible for re-election, having served one term. Professor Oguchi was re-elected unanimously. Member-at-large. The position was vacated by Professor Wu who was eligible for re-election, having served one term. Professor Wu was re-elected unanimously. Zrenner announces that, as a result of this elections, there will be a vacancy for Treasurer, which will be filled by the usual process, but this requires a year to implement. Therefore, in accordance with the Bye-laws, the Board has appointed an interim Treasurer for a period of 1 year. Prof Adachi has kindly agreed to take this position. The following two candidates were elected to go forward to mail ballot by the whole membership: Holder, Frishman. Perlman makes a presentation, describing Eilat and informing people of the strict security measures in place to ensure their safety. Vaegan makes a presentation about the 2000 Symposium. Galloway suggests that, to mark this rather auspicious occasion (Millennium and first time in the southern hemisphere), extra travel grants be awarded. It is agreed that an additional sum of $2,500 be made available to the Grants Committee for this purpose. Zrenner announces that there have been invitations from Leuven, Belgium and Cairo, Egypt. This will go to a mail ballot in the next Newsletter. Kuba reports that approximately 160 participants have attended plus accompanying persons, giving a total of approximately 200. The budget looks set to make a surplus, and the experiment of using e-mail for registration had been very successful. Marmor reports that a number of useful suggestions have been made during the course of the meetings arranged at Hradec Kralove. He expects to publish a revised version in the next Newsletter, for absolutely final (minor) comments before publication. Zrenner describes the method by which the current Newsletter has been produced by Bach, viz. Production first as a web site, and then printed. Bach is praised for his excellent work and it is agreed to retain this format and method for the future. 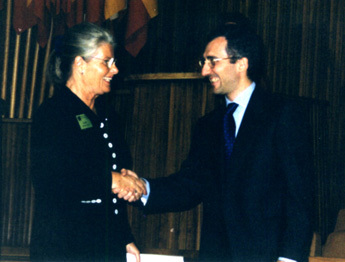 The Eberhard Dodt Memorial Award 1998 was given to Dr Claudio Macaluso. The Eberhard Dodt Memorial Award commemorates the life and work of Prof Dr med Dr med hc Eberhard Dodt, former director of the Max-Planck-Institute in Bad Nauheim, and long-standing member of the advisory board of ISCEV. It honours, in particular, his help and encouragement, over many years, of young scientists working in the field of clinical electrophysiology of vision. More than one hundred young ophthalmologists, biologists, physicists from many countries, particularly from Eastern Europe, were introduced into this field in his institute and have very fruitfully continued thereafter with important scientific contributions of their own. Every year since 1996 a young scientist below age 35 is selected carefully by an adjudication panel of the International Society for Clinical Electrophysiology of Vision (ISCEV). The panel works throughout the annual symposium to select the candidates and the recipient on the basis of scientific excellence of the work described and on the quality of the presentation that she or he has given. Dr Claudio Macaluso from the Dept. of Ophthalmology of the University of Parma in Italy. The title of his paper is: Visual evoked potentials from paper? Pattern onset cortical responses to a stationary pattern. With a very ingenious technique that combines visually evoked cortical potentials (VEP) and electro-oculography (EOG) he has shown that making a saccade towards the center of a stationary pattern, even on a piece of paper, produces a cortical potential that is very close to a pattern-onset VEP. The demonstration of a fixation-related VEP is a novel finding which will be instrumental in relating eye motility studies to visual sensory events, assessed objectively by VEPs. Dr Macaluso is a 35 year old ophthalmologist at the University of Parma in Italy. He received his medical degree in 1987. During his residency he has worked one and a half year in the laboratory of Prof Günther Niemeyer in Zürich on the arterially perfused eye and has studied the effects of changing glucose level and of adenosine on the electrophysiological responses of the retina and optic nerve. After his residency in 1992 he became staff member of the department of ophthalmology where he works in general ophthalmology and anterior segment surgery and runs the laboratory of electrophysiology of vision, initiated by Prof Marco Cordella in 1968. He has also a particular interest in the electrophysiology of normal and defective colour vision which he studied by VEPs and in thyroid associated ophthalmopathy. He has published 25 articles, many of which have appeared in high ranking journals. ISCEV would like to congratulate Dr Macaluso for having been awarded the prestigious Eberhard Dodt Memorial Award and wishes him a very fruitful continuation of his work. To be able to award a prize in such a distinguished place is a very special pleasure for me. It was in 1987 that I first set foot in the Charles University, on that occasion in the company of my husband: he had been invited to the celebration of the two hundredth birthday of the physiologist Purkinje. The organiser of this year’s symposium, Dr Kuba, who was my husband’s last student, and also Prof Peregrin, are present with us today. They both know what pleasure it would have given my husband if he could have taken part in person. Before I come to the award of the prize, allow me to remind you of George Bernard Shaw’s comment, that scientists are people who know a great deal about very little! In your case, Dr Macaluso, the jury gained the impression that you are highly competent in your field of research, and that they are justified in forecasting that you will continue in the future to contribute to the increase of knowledge in your own discipline. I would like to congratulate you personally and to wish you undiminished strength and inspiration with which to carry your research further. May the Eberhard Dodt Prize be a stimulus and a support for you! Last year, I recognized several problems with our journal and proposed several actions to begin to correct them. I noted that, in general, we have a smaller number of good quality articles than we have pages. We have allocated five journal issues per year. Generally, we are able to accommodate 10 articles per issue. This means that we need about 50 articles per year from the membership which are of publishable quality. Assuming a rejection rate of 10 percent, this suggests that there should be 55 manuscripts submitted each year. There are undoubtedly many factors involved in this. One factor is the issue of the time it takes to have a manuscript reviewed and accepted or rejected. A second factor is the journal's low impact factor. To begin to try to correct this deficit of papers in conjunction with the publisher, I wish to announce several efforts which we will make to impove the impact factor of the journal. Some of these efforts are continuations of the efforts of our former editors. I think that the numbers indicate that there has been a moderate increase in the number of regular submissions which helps us toward our goal of having 5 complete issues per year. However, we still fall short of that goal. It appears that at least for the present Special Issues can have a valuable role to play in keeping our numbers up. At Hradec Kràlové, I asked members to consider being guest editors of special issues. I will continue to seek such assistance. One topic of particular interest, would be a special issue on ophthalmic molecular genetics and clinical electrophysiology. While the issue might have original research, I think that it should include several review papers as well. We have had several ISCEV symposia devoted to topics related to the these issues but little has been written in the journal. If one or more members would be willing to gather a group or high-quality review articles on the topic I would appreciate being contacted by them. I welcome comments about problems and suggestions of improvements in the journal. During the past year I have received several and have incorporated most of them. You may send such comments either by regular or e-mail to me, jodom@wvu.edu, or to the managing editor, Ms. Karen Murray, kmurray@wvuophtha1.hsc.wvu.edu. ISCEV is in the process of renegotiating its contract with Documenta Ophthalmologica. At the same time we have been offered the option of aligning ourselves with Vision Research. Additionally a proposal was made that we create our own Web-based journal. At ISCEV 36 in Hradec Kràlové, I, as the ISCEV editor, was asked to highlight the advantages and disadvantages of retaining ISCEV's affiliation with Documenta Ophthalmologica and the advantages and disadvantages of changing our affiliation to Vision Research. We currently are contracted with Kluwer to publish up to five issues a year, about 50 articles. We pay by the page. So if we complete less than five issues we pay less than the full amount. In recent years as outlined above we have not submitted enough articles to meet our obligations. In exchange for our payments, each member receives the ISCEV issues of Documenta Ophthalmologica. Several suggestions have been made by the publisher, none of which has been made into a formal proposal. These range from reducing the number of allocated issues to increasing them to six, depending on our actions. There would be corresponding changes in cost. Therefore, I will assume the status quo. The current arrangement with Documenta Ophthalmologica provides ISCEV with its own editor who in conjunction with the editorial board and membership maintains a good quality journal where articles of interest to society members can be published by the members of the society and others. By maintaining control of our own publication we have the ability to change our policies as we like. We are more free to adapt to changes. Having its own journal permits the society and the membership to publish articles which fill an important niche, e.g., by providing replications or extensions of previous findings, by providing normative values, or reporting interesting cases or technical issues. Articles of this type although of use and interest to ISCEV are less likely to be presented in another journal. Articles published in the journal are not always of the highest quality. Documenta Ophthalmologica has a low impact factor. Therefore, good quality articles often do not get the readership or citations which they deserve. Because of its low impact factor many of the better articles of our members are not submitted to Documenta Ophthalmologica. Pergamon Press proposes to provide ISCEV with a number of journal pages equalling those we currently have in Documenta Ophthalmolgica. We thus would be able to publish approximately the same number of articles as currently, i.e., about 20 articles, which suggests that 0-3 articles per issue would appear. The issues of Vision Research which included ISCEV articles would have the ISCEV logo identifying them as ISCEV issues. The ISCEV articles would ordinarily be published in the Clinical Research Section. Whether or not to retain a separate ISCEV editor would be at the discretion of ISCEV. However, whether an ISCEV editor or the current Clinical Research Section Editors processed manuscripts, the overall quality of the manuscripts would be expected to be at the level of other Vision Research sections. The cost to ISCEV of the proposal would be approximately the same as we currently pay Documenta Ophthalmologica; however, with the pages as indicated. In exchange for this sum all members would receive all copies of Vision Research. Vision Research is one of the most highly valued journals in visual science and Ophthalmology. Articles accepted and published in Vision Research will be received by about 6 times the number of people who received Documenta Ophthalmologica. The association with Vision Research will make ISCEV and more visible and improve the standing of ISCEV and the respectability of the field of clinical electrophysiology of vision. Vision Research has a more professional staff. Also, there are more issues per year. Therefore, it is likely that delays in publication will be shorter. The type of the articles appearing in Vision Research will probably be more limited than those which can appear in Documenta Ophthalmologica. Some articles appropriate for our current journal will be unlikely to be acceptable in Vision Research. The cost per journal page and article will be greater. Overall journal policy will be less controlled by ISCEV and its membership. Several members of the society have suggested that we rid ourselves of the commercial publishers entirely and create a web-based journal. Several such journals exist currently. The members of the society who are interested have suggested that libraries which are interested in lowering journal costs would sponsor the journal and that one or more of the society members skilled in creating web pages would maintain the journal. Much of the transmission of the articles and reviews would become electronic. Because no commercial publisher is involved, the copyright and any income generated by the publication remain with the society and/or the authors. This keeps the benefits in the hands of those who produce the product. Web publishing is the wave of the future. ISCEV will establish itself as a leader in a rising field by entering the field now as opposed to later. ISCEV members through the editor and editorial board will have almost total control of the journal. The savings in time may be smaller than one imagines. The greatest time in turn around for publication is the time taken by reviewers, not the processing time of the manuscripts. Delays due to mail are minimal except when international mail is sent accidentally by surface. Similarly, there are costs to maintaining a web site. These costs include personnel costs, maintenance costs and connection time etc. These real costs of maintaining a web site increase as the content and complexity of the site increase. The apparent low cost the result of donation of time by those maintaining the web site and that various computer costs are often underwritten by a university, library or government source. Although the internet is clearly the wave of the future, the precise form of that future is not clear. Not all members currently have access to the web or are comfortable with its use. Given the rapid evolution of the internet, it is unclear that articles published only on the internet will still be readable in 20 years. For those authors for whom impact factors are important, there are no impact factors for web journals at the moment. The membership is urged to actively take part in this decision process. Please contemplate the options, talk it over with colleagues and present your input to the Editor or to any Board Member. 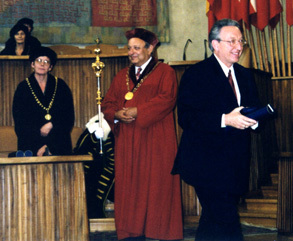 In an academic ceremony in Prague on June 15, 1998 accompanied by organ and chorus music Prof Colin Blakemore, Prof Eberhard Dodt, Prof Henk Spekreijse and Prof Eberhart Zrenner have received a memorial medal in conjunction with the 650th aniversary of the Foundation of the Charles University. The speech given by Prof E. Zrenner in behalf of the award recipients is presented here. We feel very touched and honoured to have received the memorial medal of Charles University of Prague, the oldest and most respected University of Central Europe. In behalf also of Prof Blakemore and Prof Spekreijse I would like to express our sincerest thanks for this unexpected award. This award is shared with our fellow members from the International Society of Clinical Electrophysiology of Vision (many of them are here to day), because it is the continuous scientific activity of this society which has helped to achieve the goals of our particular discipline. These goals are the bridge the gaps between basic and clinical science to achieve and utilise scientific findings and methodological innovations in basic science in order to improve clinical diagnosis and treatment in ophthalmology, vice versa , to formulate problems and hypotheses, stemming from careful clinical observations in order to motivate basic scientists to dedicate their research efforts to such problems. It is this dissemination of information across sciences which has led to the prosperous development of our field. But it is also the dissemination of scientific information and co-operation across borders, which our society has vigorously fought for the past 36 years, irrespective of political systems, iron curtains and economic problems, never loosing close ties between East and West, helping wherever it was possible. It was especially the continuous activity and friendship between the founding fathers" Prof Vanisek, Prof Peregrin, Prof Sverak with Prof Harold Henkes, Prof Henk van der Tweel and Prof Eberhard Dodt to keep East and West together, despite all --sometimes unbelievable-- difficulties. And we the next generation in this scientific field, the generation of Susanna Kubova and Miroslav Kuba, Colin Blakemore, Henk Spekreijse and myself are eager to follow this path. It is a great pleasure at the forevening of a united Europe of nations to strengthen these ties by the meeting in Hradec Kràlové, with its astonishing scientific accomplishments, with many new friendships and it is also this meeting here tonight which will have a long-standing impact on future cooperations of ISCEV members with their colleagues from Czech Republic. We are personally very happy about these developments which were shaped by ISCEV during the last seven years in a most interesting period of our Society’s history. In behalf of the medalists and the participants at this most solemn academic ceremony I would like to thank the Charles University and the Medical Faculty in Hradec Králová for supporting this development and the many wonderful memories created by this great event tonight. 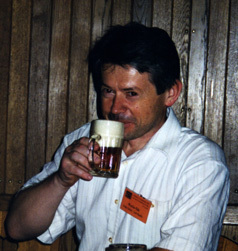 The third annual ISCEV-Sponsored Teaching Course was held June 12-13, 1998, at Charles University, Hradec Králové, Czech Republic, just prior to the 36th ISCEV Symposium. The content of this course is developed by the Educational Committee of ISCEV, and this course is always given in English. Dr Richard Weleber was the Director of the Course and Dr Klaus-Dieter Miliczek was the Course Coordinator. Twenty-two participants took the two-day course and received didactic lectures as well as “hands on” experience in practicums. The basis of testing and the specifics of ISCEV-approved techniques were presented for the ERG, EOG, PERG, and VECP. The faculty consisted of 8 instructors, many who also serve on the Education Committee. LKC, Tomey, and Roland Consult provided equipment for the practicums. Mr. Chris Hogg provided gold foil electrodes and Dr Colin Barber provided C-glide electrodes for use by the attendees during the practicums. Drs. Miroslav and Zuzana Kuba and their staff were extremely helpful and provided knowledgeable support during the course. There were two additional ISCEV approved courses held during 1998. ISCEV-approved courses are held regionally, are sponsored by local organisers, and the course language is usually that of the host country. The course content is developed by the organisers but must be presented to the Education Director in order to achieve ISCEV approval status. ISCEV-approved courses must have at least one ISCEV-approved Instructor. ISCEV-approved instructors include all present and former board members of ISCEV and those who have applied for and have been approved by the Education Director, the Education Committee, and the Board of Directors. Presently the only two members who have applied for and received ISCEV-approved instructor status are Dr Patricia Tormene and Dr Ulrich Kellner. A course with 30 registrants was organized by Dr Graham Holder and held February 24-27,1998, at Moorfields Eye Hospital in London. Course instructors were Geoffrey Arden, Alan Bird, Chris Hogg, Graham Holder, Anthony Kriss and Günter Niemeyer. Graham Holder and the same faculty plan to present this course again, February 16-19, 1999. 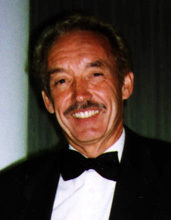 On October 2-3, 1998, 22 people attended a two-day course that was organized by Dr Ulrich Kellner and given in Berlin, Germany (course language German). Course instructors were ISCEV members Michael Bach, E. Lapp, Klaus Ruether, and Ulrich Kellner. An educational lecture course on visual electrophysiology (no practicum) was held November 15, 1998, in Beppu, Japan, as part of the 46th Japanese Society of Clinical Electrophysiology for Vision. The course organiser was Prof A. Tamai and instructors were M. Kondo, M. Imaizumi, Y. Shimada, Y. Segawa, and H. Ooide. In 1999, no ISCEV-Sponsored Teaching Course will be given prior to the 37th ISCEV Symposium in Eilat, Israel. However, the 4th ISCEV Teaching Course will be given in the year 2000 in Sydney, Australia, in conjunction with the 38th ISCEV Symposium. Following the symposium, the 1st ISCEV Multifocal Course will be offered. Further details are available at the 38th ISCEV Symposium website http://www.iscev2000.unsw.edu.au/iscev/. It has been four years since the Standard for Clinical Electroretinography was last approved, and thus it is time for ISCEV to update this document. Suggestions for revision were invited in last year's newsletter, and a Standardization Meeting was held during the Hradec Kràlové Symposium to discuss potential changes. There was much spirited give-and-take and a committee of interested ISCEV members continued to offer suggestions by correspondence over the next several months. Introduction: A table has been added to list major types of specialized ERG recordings, not covered by the Standard. Basic Technology: Electrodes: Recording electrodes: Several changes update and clarify the description of electrodes (which represent an evolving technology in our field). Basic Technology: Light Sources: Stimulus strength: The strength of a Standard Flash has been modified from the vague statement “at least 1.5 to 3.0 cd·s·m-2” to read “1.5-4.5 cd·s·m-2” . Note that this eliminates uncertainty about the upper range, but also expands upward the allowable brightness. Clinical Protocol; Preparation of the patient: Initial dark adaptation (pre-adaptation to light or dark): This section has been revised and restated. Clinical Protocol; Preparation of the patient; Fixation: This section has been upgraded and restated. Pediatric ERG recordings: There are a number of changes in this section relative to anesthesia, electrodes and normal values. Specific responses; Rod response: The pre-adaptation requirements have been clarified. Footnotes: A new footnote (3) addresses the special nature of LED stimulators. Former footnote 7 has been eliminated since the issues are addressed in the text. Because an up-to-date standard is important to clinical electrophysiology world-wide, we hope that this revision can be voted upon and approved at the next ISCEV Symposium in Eilat, April 1999. Since some members may not attend, and discussion time is always short at the symposium, we urge you to read this document and send comments immediately by e-mail, fax or post so that they can be considered before the Eilat meeting. The International Guidelines for Pattern Electroretinography were published in 1996, and thus are due for their quadrennial review. All interested colleagues are invited to send comments or suggestions for revision of the PERG Guidelines to Prof Bach, who chairs the PERG Standardization Committee. All comments will be considered by the Corresponding Committee, which will prepare a proposal for presentation to the ISCEV membership at the 2000 Symposium. ISCEV members who would like to be on the Corresponding Committee please contact Michael Bach. Members of the Corresponding Committee should be willing to return correspondence in a timely fashion so that comments and drafts can be evaluated efficiently. We plan to discuss whether it is time for a “Standard” by now or whether we shall keep it as “Guidelines”. Furthermore, while requirements for a basic PERG should be technically feasible everywhere and a part of the routine test procedure everywhere, we should also anticipate technological advances and guide appropriate use of them (e.g., Fourier Analysis). The purpose is to insure that basic responses are elicieted and recorded in a comparable fashion world-wide to allow comparison and correlation of clinical and research findings. It is time to revise the ISCEV VEP standards. There will be a meeting to discuss changes at the meeting in Israel. If you wish to suggest changes in advance please e-mail your suggestions to Dr J. Vernon Odom at jodom@wvu.edu. You may also contact Dr Odom by slow mail at Department of Ophthalmology, Robert C. Byrd Health Sciences Center, West Virginia University, P.O. Box 9193, Morgantown, WV 26506-9193. The 36th ISCEV Symposium was organised at the Charles University-Faculty of Medicine in Hradec Králové, Czech Republic on June 13-17, 1998 and was preceded by the 3rd ISCEV Course for young workers in electrophysiology of vision (19 participants). It was the first time that ISCEV Symposium had taken place in the Czech Republic --previously a part of Czechoslovakia-- and the organisers were happy that the Symposium attracted a high number of participants (over 150) and accompanying persons (50) from 22 countries around the world. Altogether 108 abstracts were printed in the Symposium Abstract Book, which was with published with an ISBN. Instead of using a modern Congress centre, a combination of Faculty facilities and historical buildings in the old town was used. This arrangement helped a lot in achieving quite a nice surplus in the Symposium budget. The social program was oriented towards Czech national cultural traditions and we were pleased by the enthusiastic enjoyment of participants, especially in the creation of the very pleasant atmosphere of the Garden Party. It is noteworthy to mention also, the impressions of the representatives of our Faculty and other non-ISCEV people of the uniquely cordial environment of an ISCEV meeting. This was also evident during the Closing Ceremony in the Carolinum in Prague. We are grateful to all of you who have expressed friendly thanks to us as organisers and for everyone's tolerance of any imperfections which appeared. We would like to say that it was a great pleasure for us to organise this meeting for our ISCEV friends and new ISCEV visitors. Kubas before and during the conference. They look happy at both times. One of the meeting's highlights was the dancing competition. 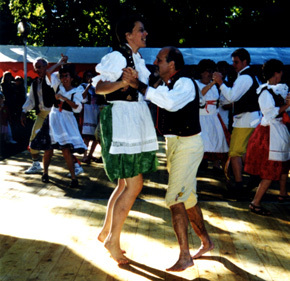 Can you do a Polka? After an excellent introductory lesson from the wide-ranging organiser's family, here the organiser of the millenium symposium (Vaegan) is obviously considering personnel (Palmowski) and possible activities for the Australian meeting. During the last ISCEV meeting in Hradec Kràlové, a cooperation between veterinarians and ISCEV members was suggested. Electrophysiology is essential to evaluate the visual function before cataract extraction or glaucoma surgery on animals. Furthermore, it is essential to assess retinal inherited diseases (many diseases are similar in humans and in animals) and to evaluate behavioural problems in animals. Moreover, visual electrophysiology is important in toxicological and pharmacological studies because the eye is a good “window” into the body, as well as for neurology and for vascular problems (i.e., both termino-termial and shunt types of vascularization are present in retina). In France, veterinarians have founded in 1993 the “Société Française d'Etudes et de Recherches en Ophtalmologie Vétérinaire” (S.F.E.R.O.V. )*, which encompasses clinicians, toxicologists, pathologists, pharmacologists and searchers in veterinary ophthalmology. Many projects are under way, including: Since 1995, according ISCEV recommandations and with the help of the Department of Vision (Biophysics Department of Université Paris 7; Prof F. Rigaudière), a protocol for ERG recordings is recommended in France (ISO 9002 certification in progress) as well as for clinical exams and for toxicological ones, on dogs, cats, monkeys, pigs and sheeps (a Creutzfeld-Jacobs like syndrome exists in sheep). These procedures can be fruitfully discussed by ISCEV members in order to recommend a standard protocol for ERG recordings on animals. A joint plan for genetics has been initiated in collaboration with CNRS (Prof F. Gallibert), breeders and vet clinicians to detect retinal inherited diseases in dogs. This study involves a standard clinical examination (ISO 9002 certification in progress), blood items and electrophysiological exams on many pure breed generations... Comparative clinical electrophysiology of vision in the ISCEV group would be an exciting development! 2. Electrophysiology in Vascular Disorders. It is November 1998 and it is only 5 months from your scheduled visit to Israel. Our preparations for the 37th ISCEV are almost finalized. We have prepared an exciting social program for all participants and spouses including tours of the desert, parties, water sports and more. Eilat can offer a large variety of attractions and above all I can promise you a warm weather. It is now up to you. The success of the 37th ISCEV depends upon the scientific program. We are looking forward to your abstract submissions, whose deadline was extended to 4 December 1998. If you are looking for special information or need some help, you are welcome to contact me directly via email <iperlman@techunix.technion.ac.il>. For the XXXIXth ISCEV Symposium the ballot vote fell for Montréal. The organiser, Pierre Lachapelle, will soon provide further details. For the XXXXth ISCEV Symposium there are 2 proposals, Leuwen, Belgium and Cairo, Egypt. For the XXXXIth ISCEV Symposium we have an invitation to Nagoya, Japan by Miyake.